BOSTON—In April, Harvard students and alumni will compete for $300,000 in cash prizes to fund their startup dreams in the 20th Anniversary New Venture Competition. 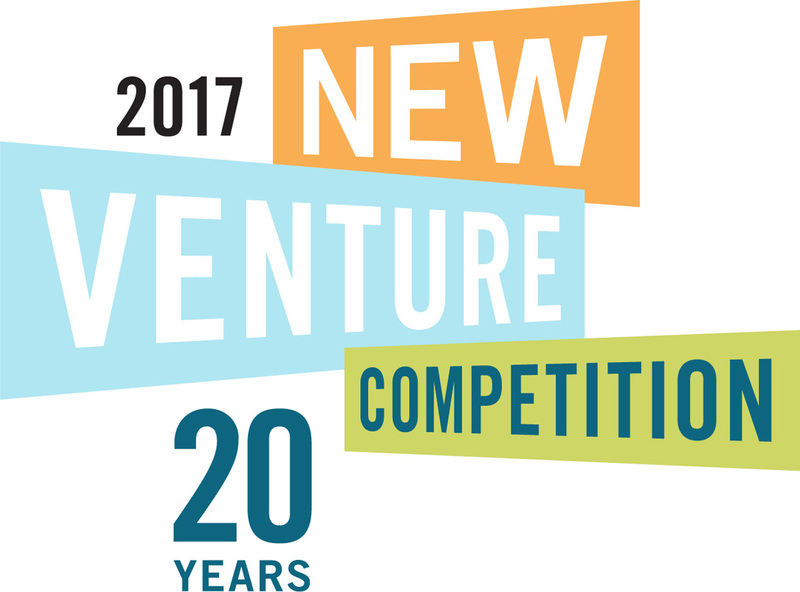 Past competition winners and participants will also return to campus for programs and a celebratory 20th Anniversary New Venture Competition Finale on Tuesday, April 25, 2017. The School is offering its biggest prizes to date, with a $75,000 Grand Prize for top winners in the Student Business, Student Social Enterprise, and Alumni competitions. Additional prizes are a $25,000 Runner-Up Prize, $5,000 Audience Award, and in-kind services. Previously the Grand Prize was $50,000 in each category. More than 200 judges will vigorously review the new ventures in several rounds of judging. Past winners include Rent the Runway, Birchbox, and GrabTaxi. More than 800 people are expected to attend the competition’s Finale on campus on Tuesday, April 25, when the winners will be revealed. The keynote speaker will be Anthony Tan (MBA 2011), Group CEO and co-founder of GrabTaxi Holdings, the largest tech startup in Southeast Asia, which won the 2011 New Venture Competition. 171 alumni teams applied in January and are being judged in 15 regions. Four alumni teams will make it to the semifinals to present and be judged at the April Finale at HBS. More than 70 student teams on the business track and 48 social entrepreneurs have already applied in advance of the March 8 deadline. HBS also offers workshops and other support for students. Learn more about the New Venture Competition at hbs.edu/nvc and track Harvard Business School’s 20th Anniversary New Venture Competition on Twitter at #HBSNVC. The Business Track is for HBS student-led ventures with economic returns that drive substantial market value. The Student Business Track was started in 1997 and is managed by the Rock Center for Entrepreneurship at HBS. Past winners include Cloudflare, BirchBox, Grab, Alfred, and Rapid SOS. The Social Enterprise Track is for eligible graduate students across Harvard University with new ventures that drive social change using nonprofit, for-profit, or hybrid models. The Social Enterprise Track provides an opportunity for students to explore social entrepreneurship and test ideas for social innovation in a rigorous and supportive environment. Social Enterprise Track entries may include nonprofit, for-profit, and hybrid model business plans. The Social Enterprise Track is managed by the Social Enterprise Initiative and was founded in 2001. Past winners include Saathi, Careport Health, and Tomato Jos. The New Venture Competition Alumni Track serves as a launch pad for innovative new ventures from Harvard Business School alumni from around the world. The competition provides access and exposure to potential investors, mentors, and advisors. Alumni startups participate in 14 regional competitions hosted by 16 alumni clubs around the world. Four global finalists will be chosen to compete in the NVC Finale at HBS. The annual event is sponsored by the Harvard Business School’s Rock Center for Entrepreneurship and HBS Alumni Clubs & Associations. The first Alumni New Venture Competition took place in 2010. Past winners include StreetShares, Vaxess Technologies, and Busbud. The Rock Center for Entrepreneurship was made possible by the generosity and vision of pioneering venture capitalist Arthur Rock (MBA 1951), who helped launch, among many other enterprises, Apple and Intel Corporation. The Rock Center offers a broad array of programs to encourage and support the pursuit of entrepreneurship by Harvard Business School students and alumni, including an annual New Venture Competition, the Rock Accelerator program to facilitate and financially support the execution of new ideas, The Rock Summer Fellowship program to support founders pursuing business ideas and internships with new ventures, a loan reduction program to help ease the burden of recent graduates starting their own enterprises, and access to an array of Entrepreneurs-in-Residence who offer advice and counsel throughout the school year. The Rock Center is closely affiliated with the School’s Entrepreneurial Management Unit, which includes some 35 HBS faculty members dedicated to research, teaching, and course development in the field of entrepreneurial management. Harvard Business School’s first-year curriculum requires a full-semester course in Entrepreneurial Management. The second-year curriculum provides students with a wide selection of electives. The lessons learned serve students well after they have earned their degrees. Ten to fifteen years after graduation, fifty percent of Harvard Business School alumni describe themselves as entrepreneurs. For more information, visit hbs.edu/entrepreneurship. The HBS Social Enterprise Initiative (SEI) applies innovative business practices and managerial disciplines to drive sustained, high-impact social change. It's grounded in the mission of Harvard Business School and aims to educate, inspire, and support leaders across all sectors to tackle society’s toughest challenges and make a difference in the world. SEI was founded in 1993 and developed the social enterprise track of the New Venture Competition in 2001. For more information on the Social Enterprise Initiative, visit hbs.edu/socialenterprise.